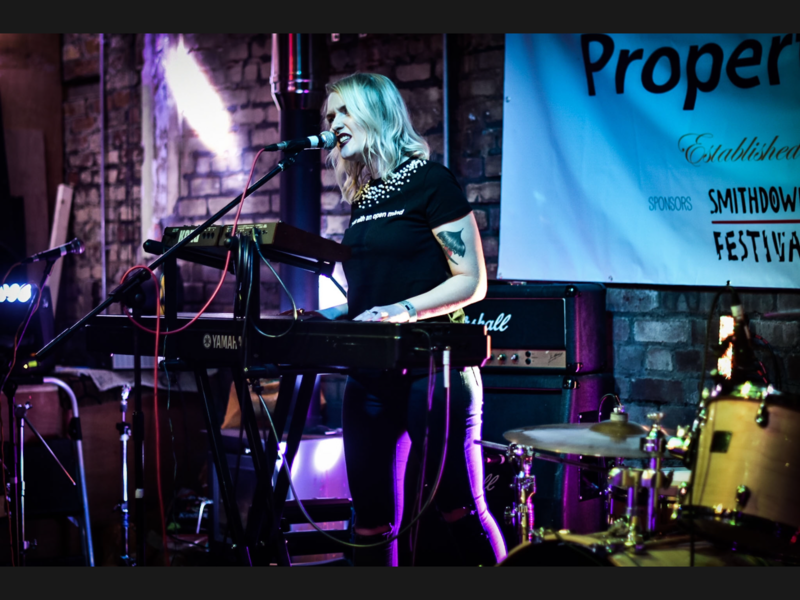 Back in May, Popped Music were proud to be a part of the community-centric Smithdown Festival looking to enrich the lives of the people of the Smithdown Road area. For those of you unfamiliar with the geography of Liverpool, Smithdown Road is a main arterial route into the city centre which has been populated by students, immigrants, and traditional scousers for many years. It is a melting pot of terraced houses, gorgeous parkland, bars and fast food outlets. The festival provides an opportunity for the various elements which make up this important part of the city to come together truly as one, and importantly, to encourage those from outside the area to come in to spend money and give the economy an appreciated boost. Smithdown Festival is a free event, even for the main stages which held performances from the likes of Cast, so to help raise funds to support that, Saturday 13 October 2017 saw the inaugural Smithdown Crawl take place. Until this day, The Smithdown Crawl was a traditional rite of passage drinking session that students (and anybody else who has an afternoon and evening spare) took upon themselves to carry out, going from one end of the road to the other taking in as many of the watering holes as humanly possible. 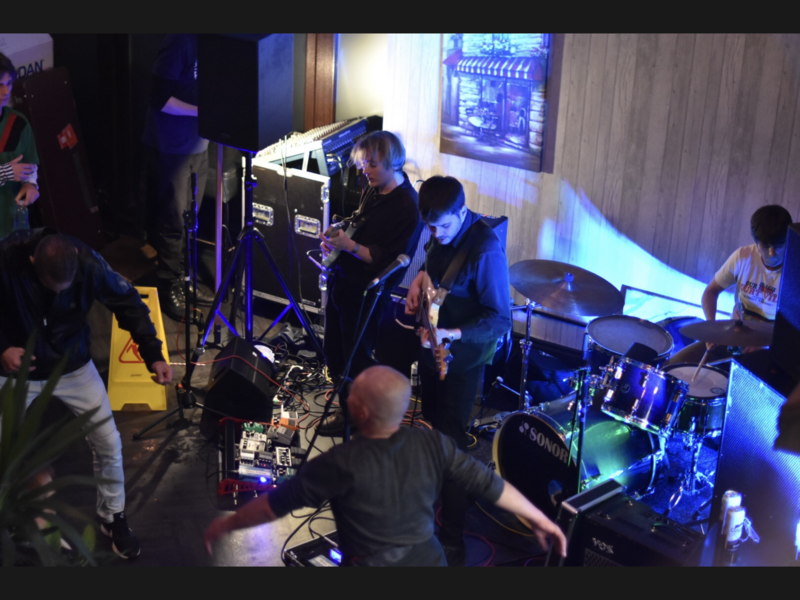 For ten pounds, you received access to seven venues, it would have been eight but for heavy rain forcing the artists playing outdoors into the various bars. There was probably a quarter of a mile separating the furthest venues, and with the event taking place on a main bus route into the city centre and so many independent craft beers on hand, it was a day for leaving the car at home and soaking up a few of the offerings. We started off in The Handyman Supermarket. A former handyman shop now turned into a bar, brewery, gig venue, and general community hub. After all, I don’t see many venues that advertise traditional Japanese martial arts for 2-3 year olds in the middle of the posters showing off their forthcoming adventures. To be honest, in a show of outright enthusiasm we turned up at Handyman over two hours before the music started which meant that when the heavens opened, and they did, we were already smugly inside with a dry table and a couple of halves of IPA on the go. As Saturdays go, it was not a bad one even at that point. The opening artist for the crawl was local singer/songwriter Maddie Stenberg. With a backing vocalist alongside her, Maddie produced some beautiful self-penned numbers which were gentle but allowed her to celebrate the texture to her vocal. Considering that a few people had come in to the bar to get out of the rain, it would have been understandable if it would have been a battle between the soft singing and a general hubbub of conversation, but the quality in front of us grabbed the attention to the extent that people were generally silent during the songs – apart from to order the odd drink. Mad Alice have been on the Liverpool scene for a while yet I had never caught one of their performances. I’m not sure why, but I’m always knocked off balance by singers who play bass, but I have to say their set really grabbed me with punchy, punky numbers. In fact, as I type this I’m already considering catching them at another gig this week. Craft Taproom was home to the first of Popped Music’s two stages at the festival in the summer, so there was an element of paternalism when I walked in. I loved the fact that Mad Alice would fit perfectly on a Popped bill. It took me straight back to that happy day in summer. Following up from Mad Alice came Neverbody, an instrumental three-piece. Instrumental bands generally are not my cup of tea in the same way I don’t like horror films and avocado, but their song structure was strong and they did not try to replace a vocalist with thunderously loud playing so I enjoyed them more than I expected to do. One thing I would say though to all instrumental artists is to start off by announcing who you are as it took a couple of minutes to realise that it wasn’t soundcheck still. I love during events like this how you can get a standout up-and-coming band playing in an unlikely slot, and it was for that reason why Shards at Kelly’s Dispensary, a traditional Irish pub, was not to be missed. With only a handful of people in the room and few of the usual gig crowd there, the four-piece seemed to be a lot more relaxed on stage than focused on the performance in comparison to their previous sets. This was, to my opinion, beneficial as the boys looked like they enjoyed themselves like it was a jamming session between friends, and the laidback nature of it all allowed me to really take in the potential they have. I loved the vocals of their lead singer who sounded like Brett Anderson on the slower numbers which I’d say is a hell of a singer to be compared with. These guys really do have something special about them. Another special talent is Nick Ellis, a man who couples that talent with a beyond-prodigious work rate. 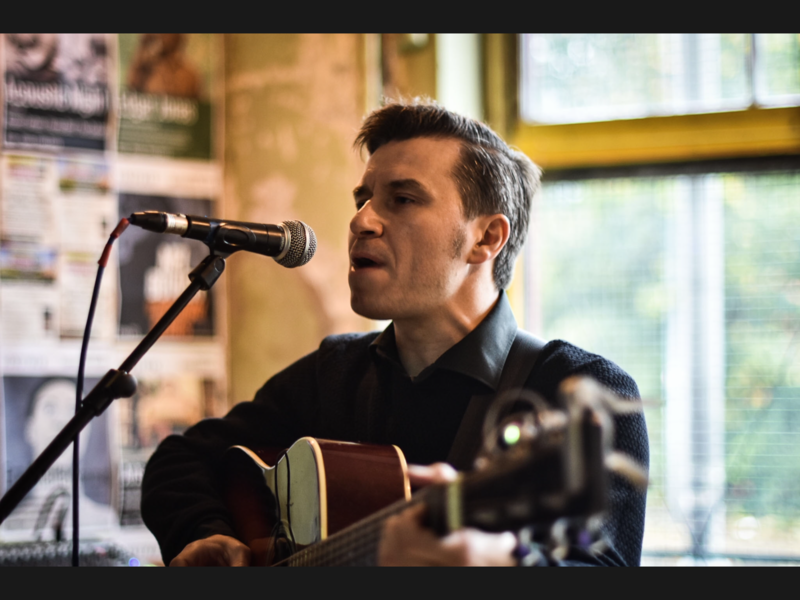 It seems that hardly a week goes by without the announcement of more Nick Ellis gigs, and with three albums released since November 2016, it is not just his live work that he gets through. Nick has a voice that makes you stop in your tracks to take note of him. Like so many of our favourite singers, there is life and memory in his rumbling tones rather than sounding like a grown-up choir boy. On a rainy day, the music of Nick Ellis is the ideal soundtrack to making indoors feel cosy. 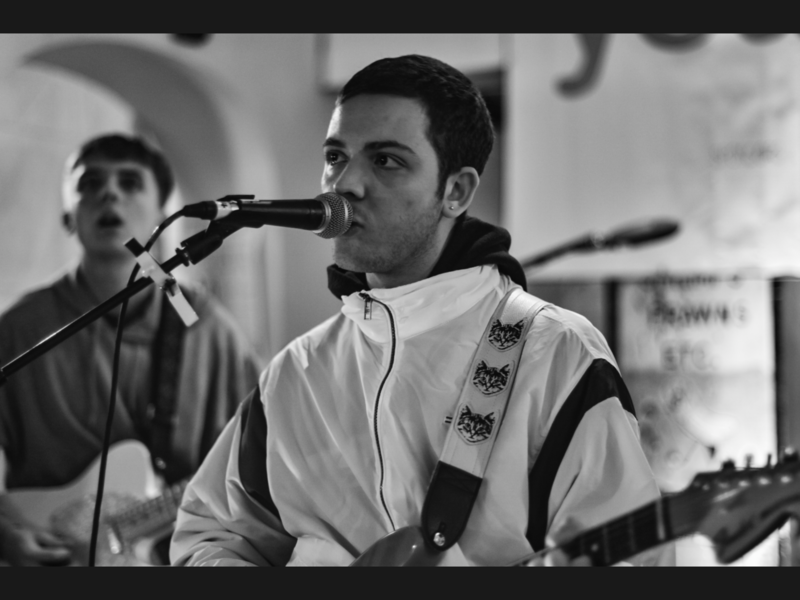 Somehow, despite a packed schedule which sees them touring across mainland Europe, Ovvls managed to squeeze in a hometown show. Ovvls are an electro duo who exist to fill rooms with meditative, hypnotic grooves which feel like they could be the build-up to a big beat stomper, but instead, draw you in and refuse to let you go. As with any band, it is the front person (Steph in the case of Ovvls) who catches the eye and grabs the attention given the fact they have the microphone and general desire to say “look at me”, but due to the fortune of needing to stand on the opposite side of the stage to catch the right light for the photography, it was great to get a close up of Lee working the drums. Drummers in acts who work at this tempo must have one of the hardest jobs around because there is at times almost too much time between beats. Not enough time to count or breathe, but too long to carry on in one movement from the last beat. In reality, Beans on Toast was probably the headline artist for The Handyman Supermarket, but needing to get a train home meant that the Essex-born singer had to play after Ovvls. The early time slot did not diminish the size of the audience though as people piled in to the back room to catch him. 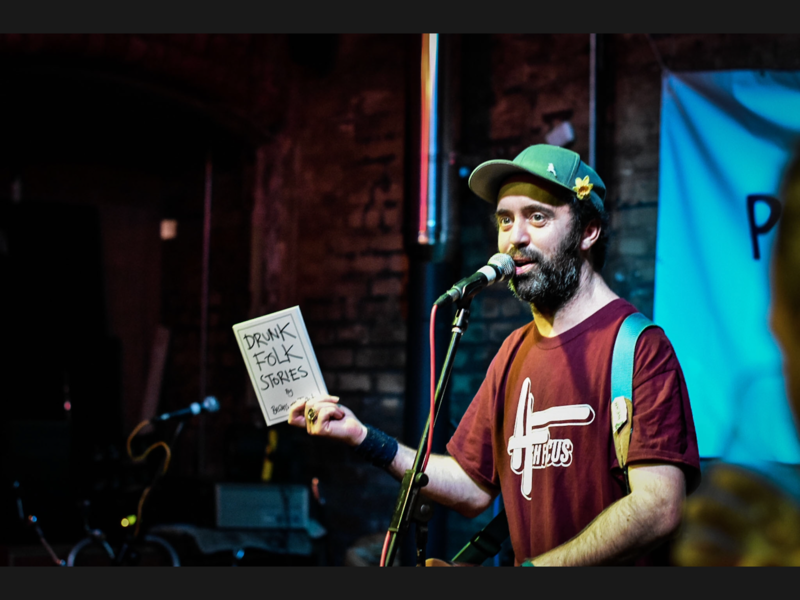 On paper, Beans on Toast is the kind of artist you think are ten-a-penny, a man who stands there with his acoustic guitar and gives his thoughts on the world like a hip street preacher. However, watching him up close you get the feeling that if he had chosen a different path of less thought-provoking subjects such as industrialised chicken farming (‘The Chicken Song’), ‘MDMA’ (M-D-M-Azing), and the replacement of friendship with celebrities (Taylor Swift), then Beans on Toast could have had much more success, riches, fame and emptiness. It would be understandable for people to catch a few songs of Beans on Toast and then move on to the next act. For the Instagram Army, a man with a guitar and a baseball cap does not provide much in the way of spectacular imagery, yet the audience seemed happy to get their phones out constantly without wanting to leave in the hope of a hair swish or something similarly trendable. Now, something eye-catching and memorable awaited us at our choice as we walked to The Secret Place (which has the name in neon lights rather than be that festival staple of cool-venue-that-you-cannot-find), Eyesore and The Jinx seemed to be playing in the middle of an Italian restaurant. I assume that there was some sort of mix up in communication because I would not imagine that anybody would want to put a series of punk bands in an eaterie with a clientele of retirees on date night. The bizarre, oxymoronic setting and entertainment injected me with enough giddiness to push me through the last few bands. Eyesore and The Jinx did not hold back in their set, apart from the fact that the amplifiers were not mic’d up, and somehow a few of the regulars (who may have had a whisky or two) were making the most of it dancing in front of the makeshift stage. Sometimes at festivals, things don’t go to plan, but as long as they go somehow who gives a damn! Fittingly, the last act for Popped Music was at Craft Taproom with our summer headliners, Scarlet. In May, Craft Taproom for Scarlet’s set was packed, hot, and loud. In October, things had not changed. Somehow Team Popped managed to squeeze to the front. And thanked the Gods of Earplugs! Scarlet have grown over the years to become a proper rock band, lead by Jessie (who many people assume is the eponymous Scarlet) who thrives on the responsibility of leading her closest friends in every gig. Scarlet are the kind of band you don’t need to need to know the words to enjoy watching. Every member of the team up on stage looked completely at home and perfectly in tune with each other beyond the actual playing of the songs. As they finished with Bones, my own felt weary and in need of something comfortable. Fortunately, our editor’s home was in walking distance so guess who received a surprise visit. I owe the couch a Christmas card for saving me as we waited for a cab. I really hope The Smithdown Crawl is not the first and last as it was such great fun and for the best cause of bringing people together to enjoy themselves and be happy.